Floating atop a secluded cliff on a rugged stretch of coast, this twenty-one suite lodge commands views of the wild Southern Ocean and pristine Kangaroo Island wilderness. Close to both the Flinders Chase and Cape Bouguer National Parks, this is an excellent base from which to discover ‘Australia’s Galapagos’ at Kangaroo Island, where the wildlife is spectacular and the scenery second-to-none. Set back from a cliff above the pounding surf, the sensitive design provides panoramic views which can be enjoyed from all suites as well as the main part of the lodge. All suites feature king bedding, a sunken lounge, glass walled bathroom and outdoor terrace with daybed. 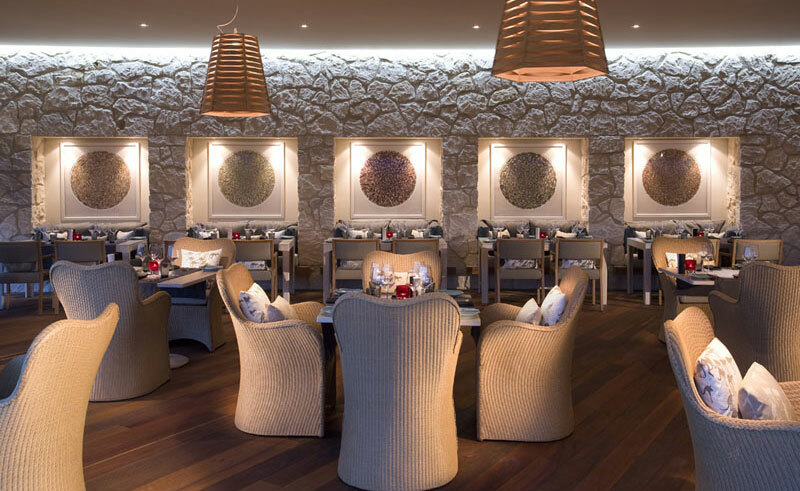 A restaurant, bar, spa and plunge swimming pool form the main building, with your stay including full breakfast, lunch and dinner daily, selected alcoholic and all non alcoholic beverages. Complimentary airport transfer and guided excursions are also included. 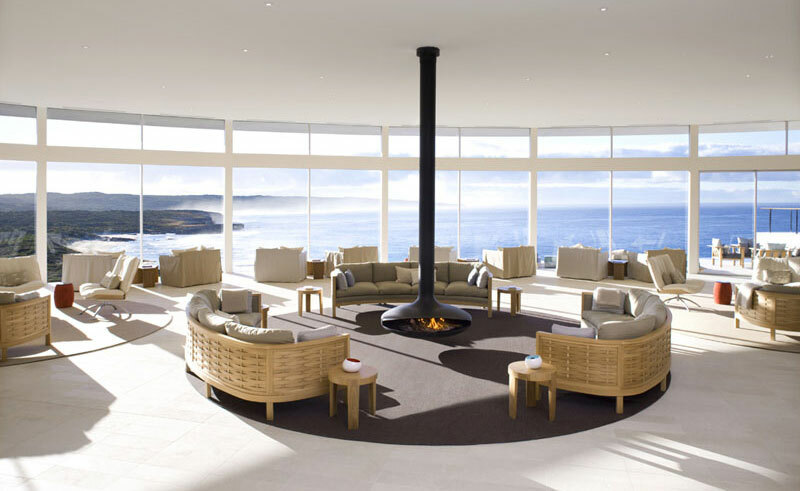 We are delighted to announce that National Geographic Unique Lodges of the World has added Southern Ocean Lodge to its prestigious collection of boutique hotels in remarkable destinations around the globe. 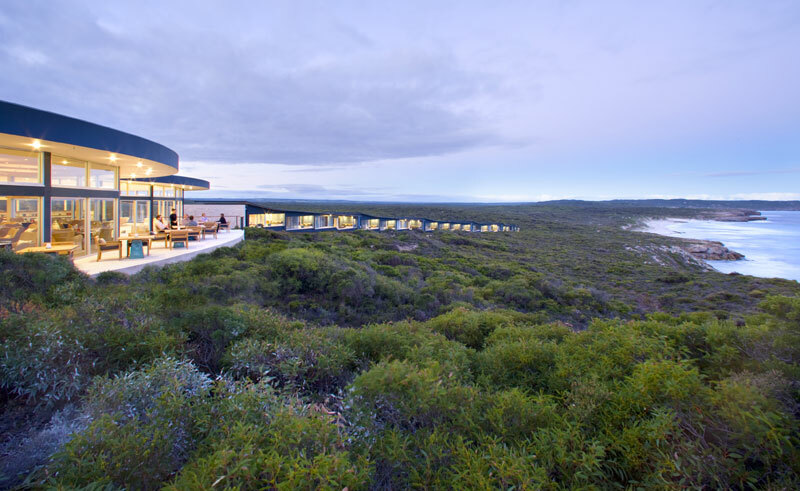 Southern Ocean Lodge is among a small selection of Unique Lodge members who have each demonstrated their commitment to authenticity, excellence, and sustainability, while offering outstanding guest experiences that support the protection of cultural and natural heritage.